Designed for fitment on passenger cars, the ZT5 is an excellent summer tyre achieving enhanced safety in wet conditions and a comfortable driving performance. The ZT5 is constructed with a specialist tread pattern design which features three wide circumferential grooves which work to rapidly evacuate water for enhanced aquaplaning resistance. This results in high levels of safety when you need it most. 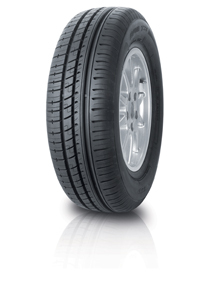 In addition, this tyre provides a quiet and comfortable performance thanks to Avon’s specialist pitch sequencing technology.